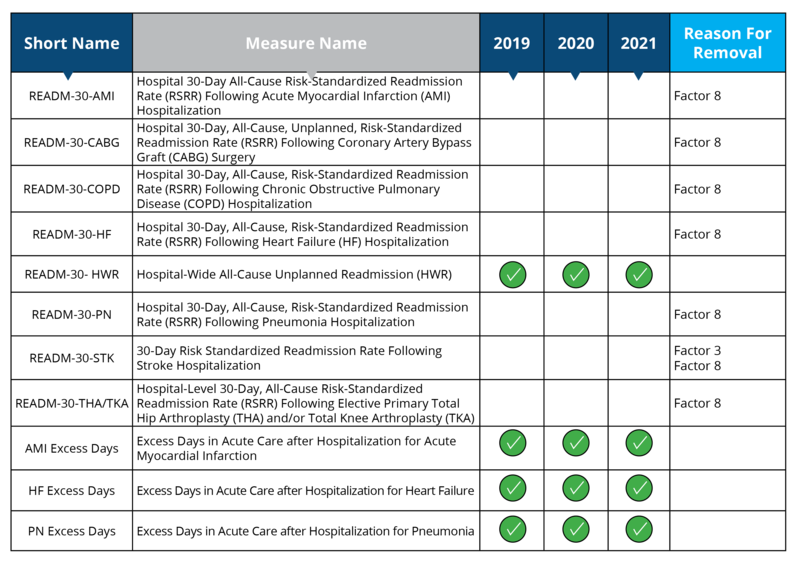 IQR Measure Removal: How Will It Affect Your 2019 Reporting Process? Measures and requirements for the major regulatory programs are continually changing—and next year is no exception. If you read through the 2019 IPPS final rule that was published this summer (without falling asleep…wait, what? ), you learned that CMS is striving to reduce the regulatory reporting burden by removing measures from the Hospital Inpatient Quality Reporting (IQR) program. 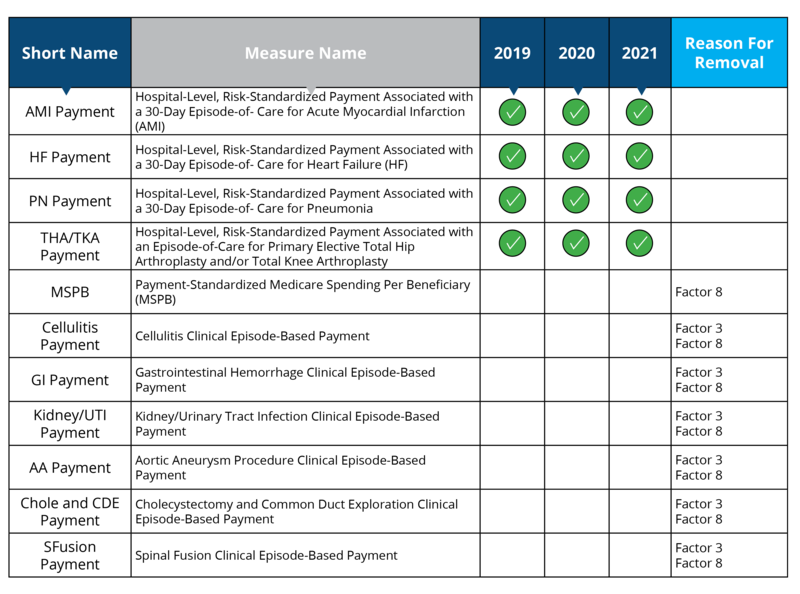 In fact, for 2019, they adopted a new measure removal factor (justification for removing a measure) that helps boost the count of measures removed from the IQR program to 39 eliminated measures between 2019 and 2021. So, how will these removed measures ease your hospital’s IQR duties in 2019? This week we’re reviewing the measures that will be removed and categorizing those measures into small, medium and large burden reduction buckets. First, let’s review the measure removal factors. As I mentioned before, there are quite a few measures that are being removed in 2019. These measures can be categorized into three buckets of burden reduction: significant burden reduction, medium burden reduction and minimal burden reduction. We are going to take a look at which measures will ease your burden, and by how much, as classified by these categories. 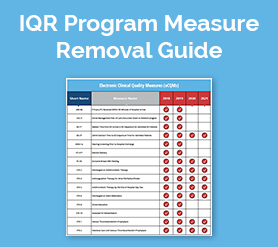 In the charts below, we’ve included all of the measures that are currently a part of the IQR program to help you visualize what will be removed and when. In this category, you can expect to have your reporting burden significantly reduced. Here, CMS removed measures where the collection and submission of quality measures data was required. In this category, you can expect to have your reporting burden moderately reduced. 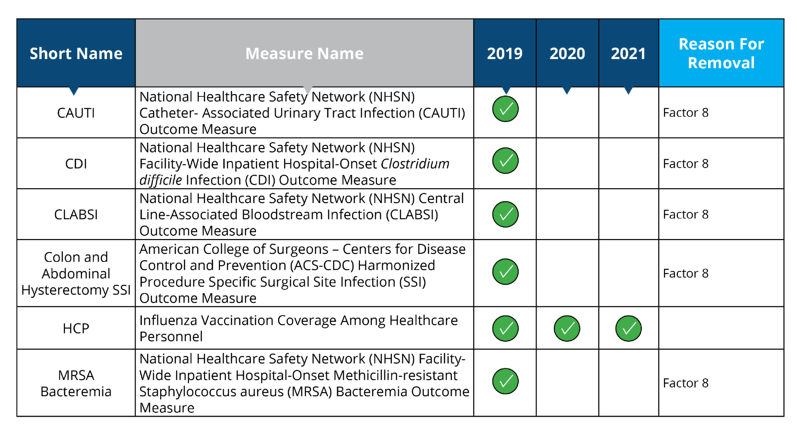 For these measures, no special data collection or submission of quality measures data was required even though you still would have had to review the measures throughout the year and work toward performance improvement. In this category, you can expect to have your reporting burden minimally reduced. While these measures are being removed specifically from the IQR program, they aren’t going away completely. That means you'll still have to report and submit them to a different program. 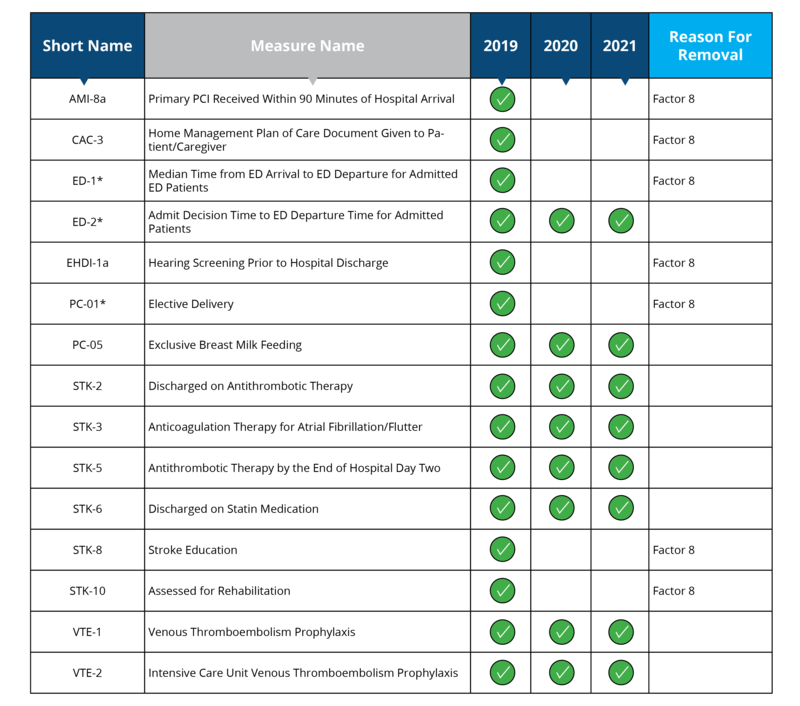 As you can see, the newest measure removal factor addition will have a great impact on the number of measures being removed in 2019 and the reporting burden on your hospital. Keep in mind that Medisolv doesn’t just provide software. We also have clinical experts who can work closely with you and your team to provide a better understanding of the yearly regulatory reporting changes, including the removal of measures. Send us a note. We’d love to chat and see how we can help with all of your quality reporting needs.